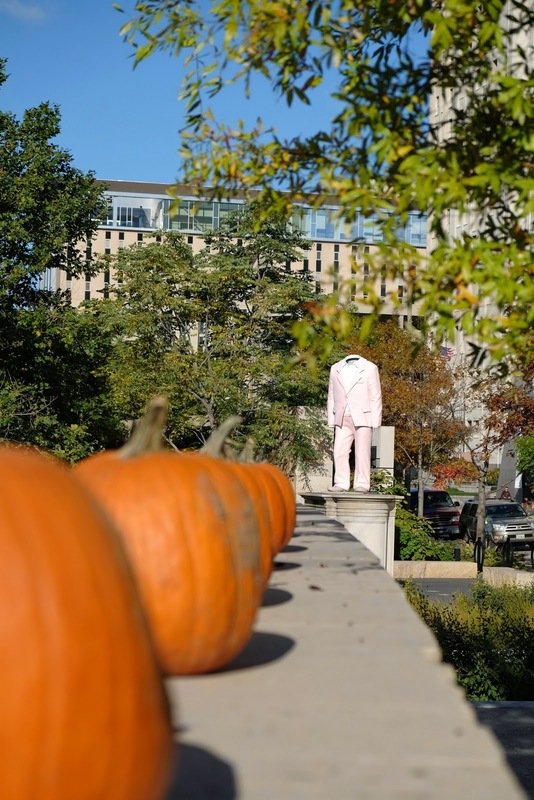 Overall, I am impressed by St. Louis. It has lots to offer, particularly in terms of architecture and culinary specialties. 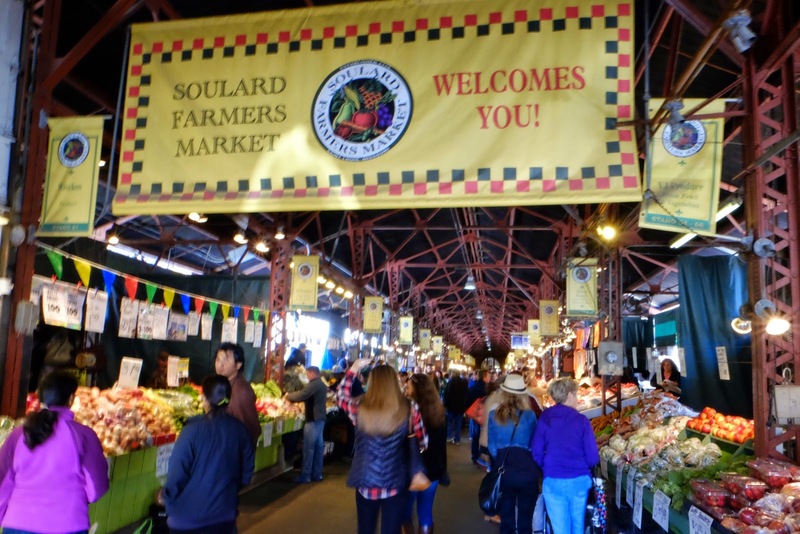 I started the day with a visit to the Soulard Farmer's Market, south of downtown. 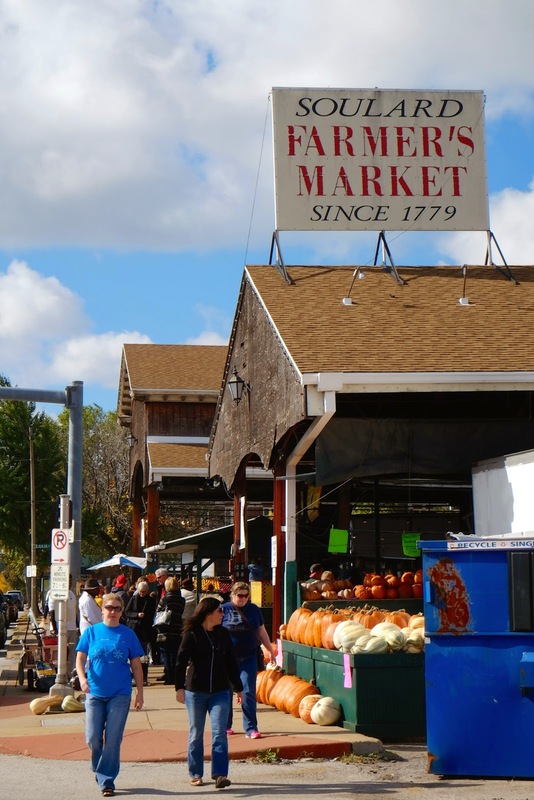 It's the granddaddy of the farmer's markets - the oldest west of the Mississippi River. 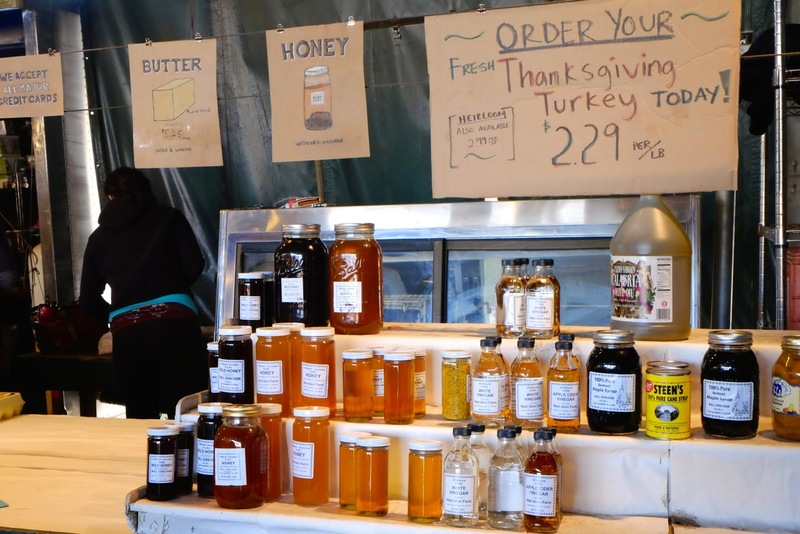 It has a large variety of locally grown fruits and veggies, locally produced cheese, eggs, honey and baked goods. I picked up some wild honey (unfiltered, uncooked & pure, as it says on the label and produced in nearby Illinois), a jar of bee pollen (supposed to be a healthy adjunct to oatmeal) and some tomatoes. Mine in Sunnyvale have more flavor though. 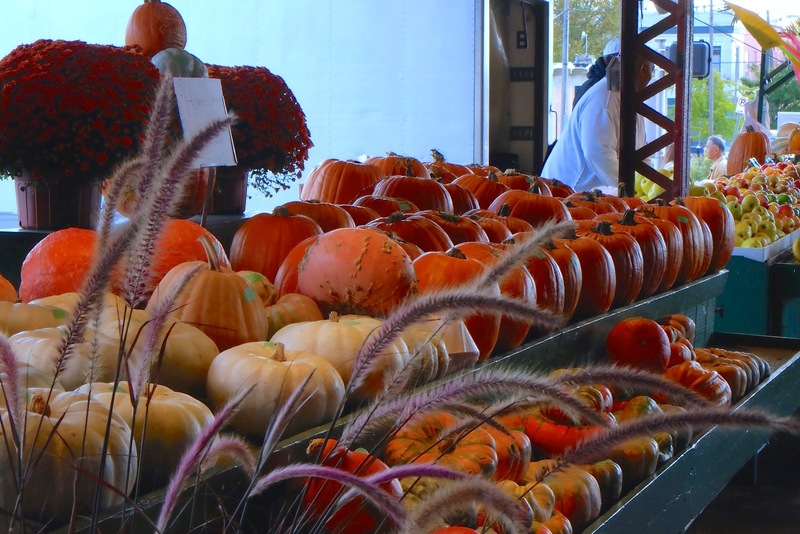 BTW, the St. Louis area has a total of 38 farmers markets! 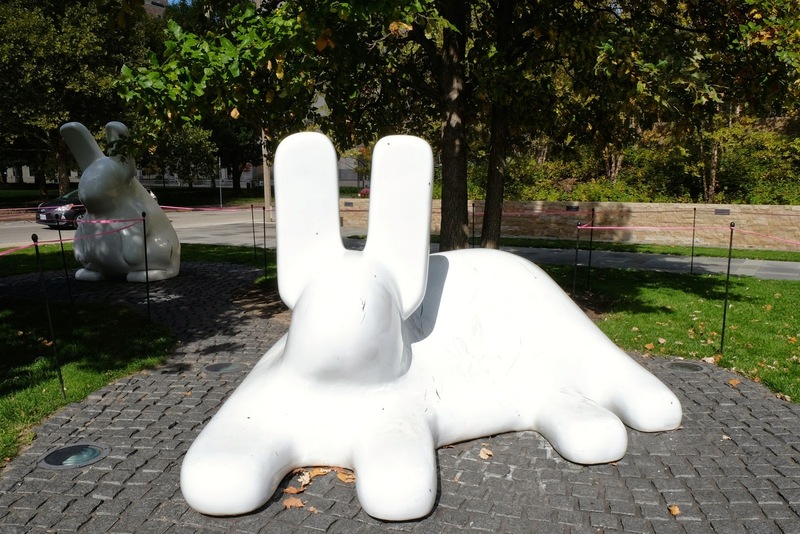 On my way to the Gateway Arch, I came by the Citygarden. This little park really speaks to my inner child, with its sculptures, native plants and fountains. 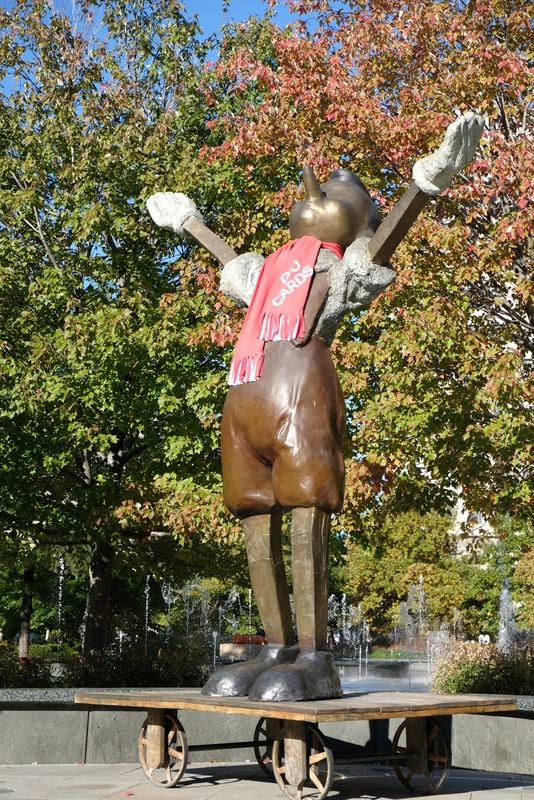 artist Jim Dine brings Pinocchio to life. 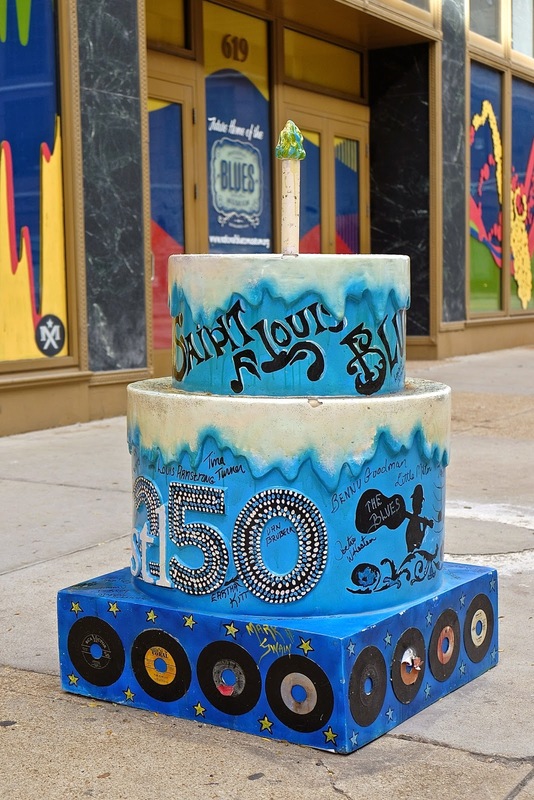 St. Louis celebrates its 250th anniversary this year and birthday cakes are all over the place. When I got to the Gateway Arch, many people were already in line to get up on this 190 m tall monument. 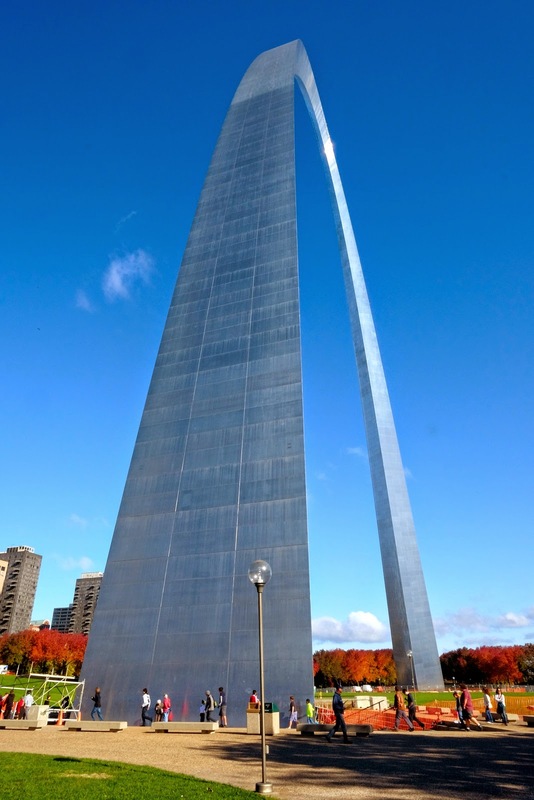 It commemorates St. Louis's role in the westward expansion (gateway) of the U.S. and is the nation's tallest monument. However, I decided not to spend my time waiting in line to get to the top. Also, I happen to have my pepper spray with me which would have caused trouble at the security check. Nevermind, there is so much to see on the ground. 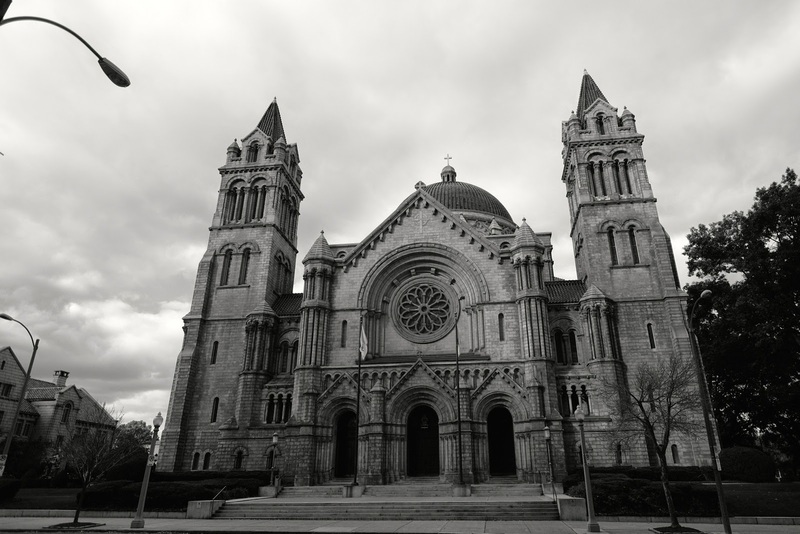 This massive Romanesque building, completed in 1914, is decorated on the inside with over 41.5 mio. individual pieces of glass, marble and stone to form mosaics. Covering over 7,700 square meter, they took more than 75 years to complete. 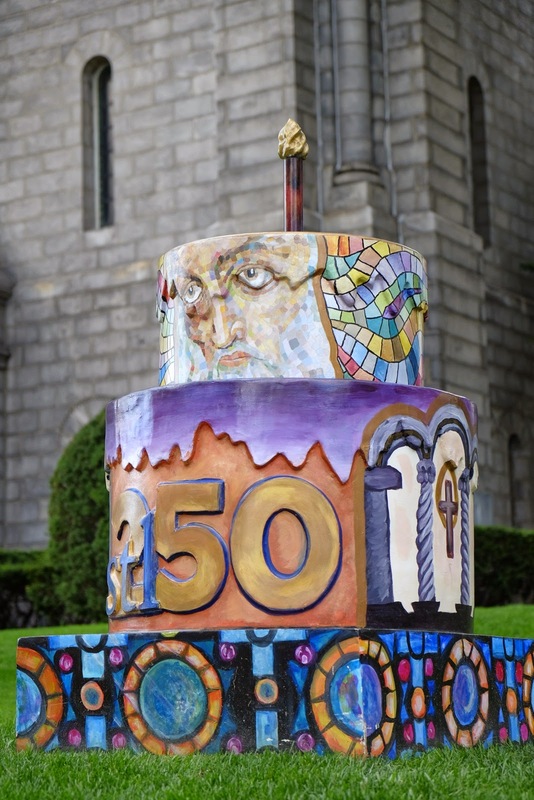 The Cathedral has its cake, too. 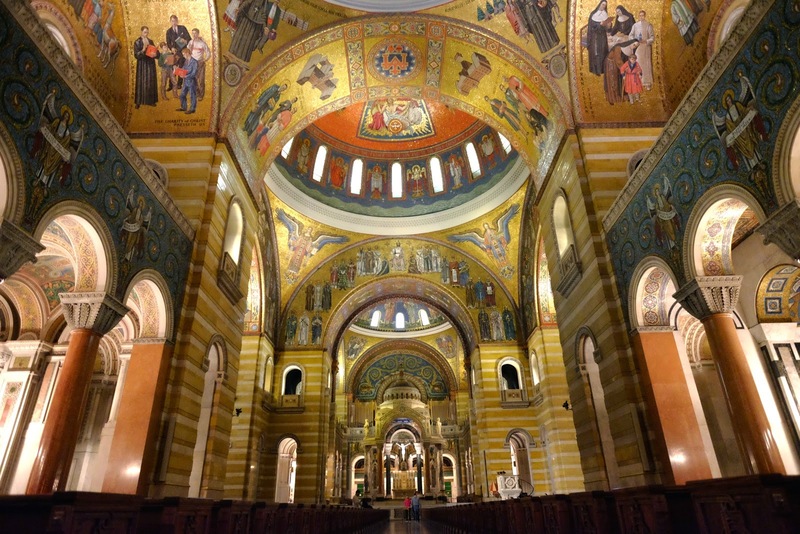 St. Louis is also known for its blues music tradition, especially its more piano-based type of blues. To be honest, I'm not very familiar with this music, but names like Chuck Berry, Ike Turner and Miles Davis sound familiar even to me. 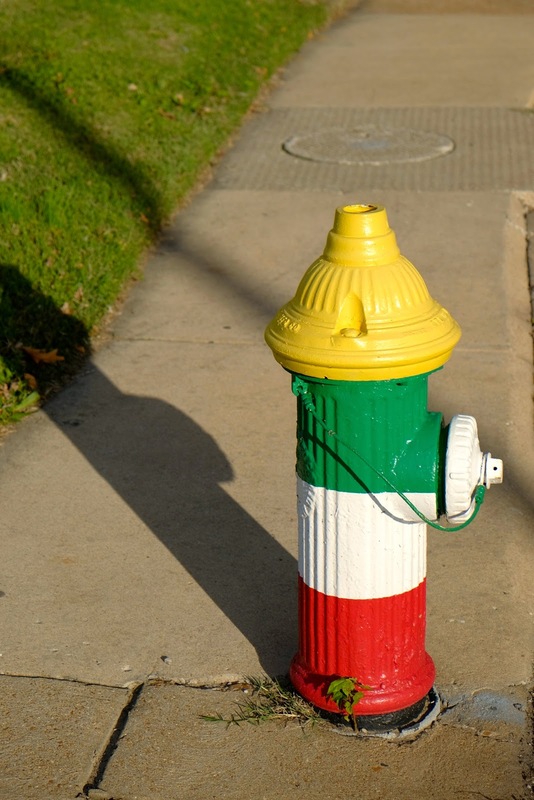 I finished the day with a stroll through The Hill, St. Louis' little Italy, in the south-east of town. A cafe latte and an Italian ice cream were exactly what I needed before heading back to the hotel. Italian colors in The Hill. 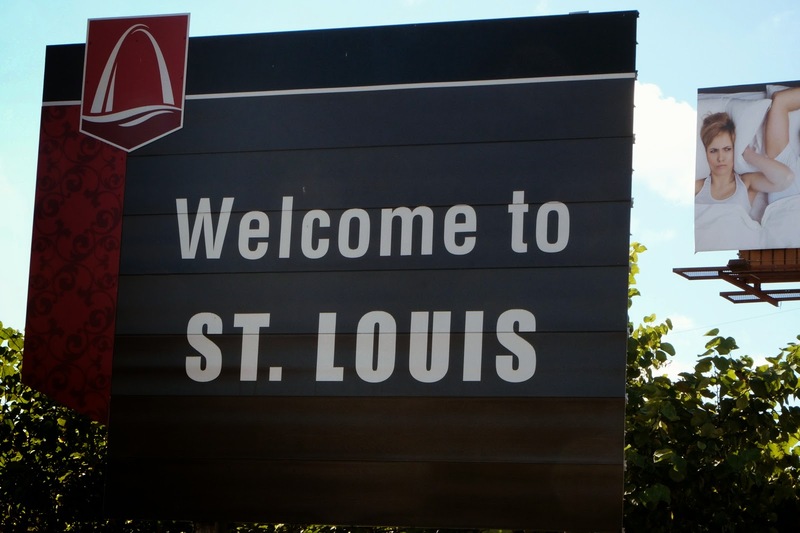 I would definitely come back to St. Louis. 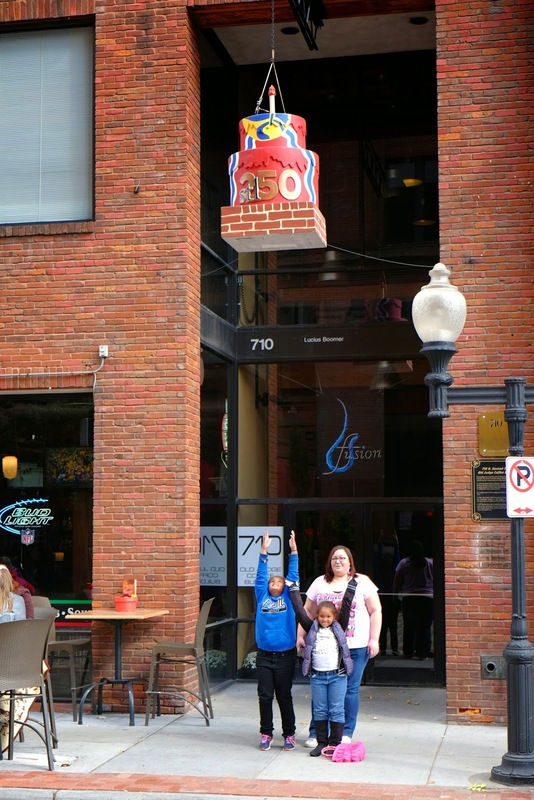 There is so much more to see, such as the City Museum, Missouri History Museum, the Anheuser-Busch Brewery including Clydesdale stables and of course to explore the night life. The above however shows only the positive, sunny side. We have all heard about what happened in Ferguson, in the north of the city, and the shooting of Michael Brown by a white police officer. Investigations are still ongoing and conflicting information can be found in the news. What I noticed when walking through certain parts of the city where many homeless, like in most large cities. They were all black. So much about equality of opportunity. I'm not a Facebook user. We didn't have any line ups back in October 2001, guess why... I liked the view from above. But the Arch is much more interesting to photograph from the ground.